Democratic State Representative Christie Kuhns recently had a baby. She says that made her realize how important paid family leave is. So she’s backing a bill that would have most employees, who are not already covered under a paid family leave policy, to pay into a state insurance program that would be operated much like the Bureau of Workers’ Compensation. 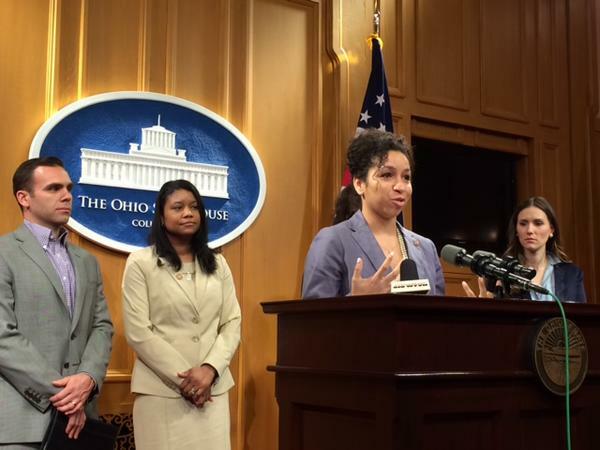 Democratic State Representative Janine Boyd says the paid leave plan would lead to healthier families and would help reduce Ohio’s high infant mortality rate. But business groups that would be affected by the bill are cautious about it. The Ohio Chamber of Commerce’s Don Boyd says his group will be looking at the bill to see how it affects businesses operating costs. Boyd says he’ll be looking at how this bill would work with existing federal family leave laws. He says it’s important to remember businesses are not one size fits all. The bill was just introduced, and does not have any Republican sponsors at this time. Copyright 2016 90.3 WCPN Ideastream. To see more, visit 90.3 WCPN Ideastream.